One of our spending categories that we’ve had the toughest time mastering is our food budget. Neither of us loves to cook and convenience often wins the day when dinnertime rolls around. But when I looked back at our food spending for last year in Thrifty, I found a pleasant surprise. Since starting our mini-retirement, we’ve dropped our average spending on food by about $275 a month - a savings of $3,300 a year! Keep in mind, this drop occurred at the same time that our children are growing - both in height and appetite. I spent some time digging through the data to figure out what’s changed and how we finally got a handle on our food spending. 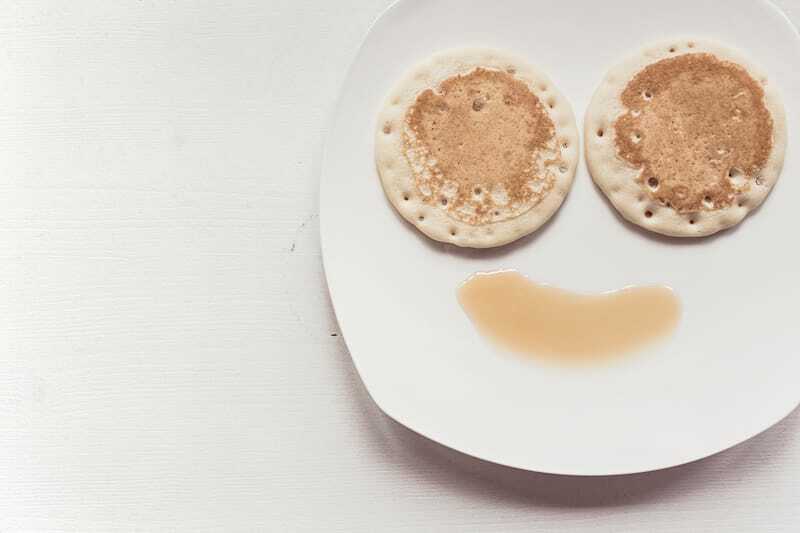 If you’re looking to make a dent in your dining dollars, read on to see how we did it. 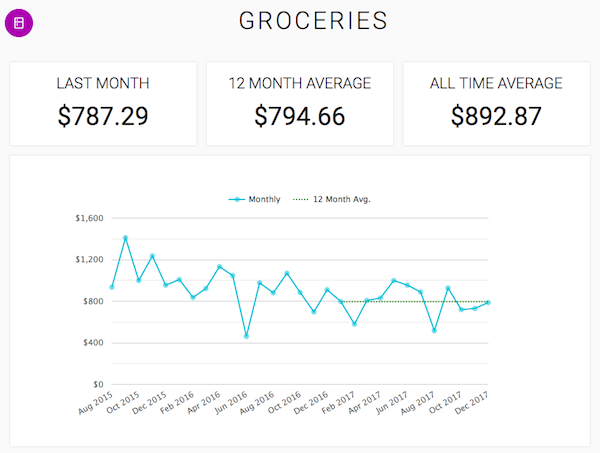 Between eating out and groceries, we used to regularly spend anywhere from $1,000 to $1,700 a month on food for our family of five. We averaged about $1,260 a month and knew that this was a category that we could definitely improve in. This is our biggest area of improvement - dropping from an average in the $1,000s down to about $800 a month. For the last 6 months, this has been even lower at about $760 a month. This category covers our “convenience” eating out - including last-minute meals and snacks or treats. This year was a tale of two cities for eating out. In the first half of the year, we were doing terribly. we relied on convenience foods to get us through the months leading up to the sale of our house and the start of our mini-retirement. In the second half, though, we did a whole lot better. 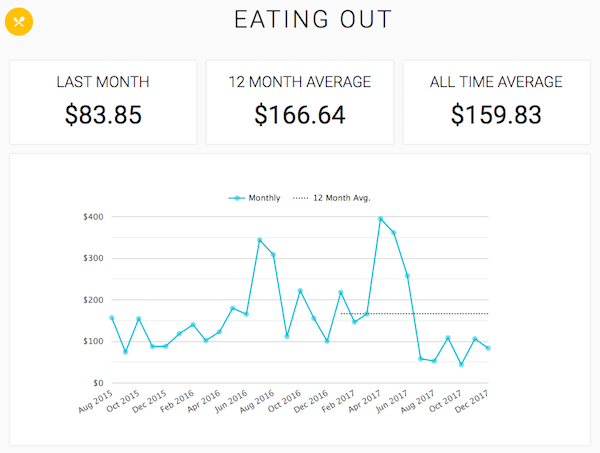 Our convenience eating out has averaged $75 a month for the last six months. We used to track this along with other Eating Out but decided to split it out into its own category. This is family time that we plan for, budget for, and value. Overall, we’ve been fairly consistent in our spending here over the last 2.5 years at around $100 a month. 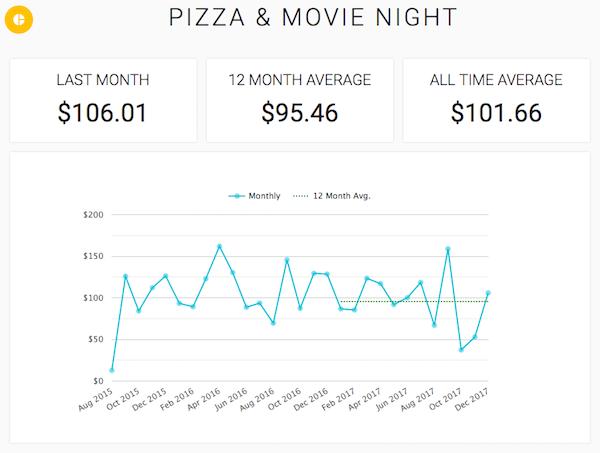 In the last six months, we’ve averaged $90 a month. Like Pizza and Movie Night, we track Date Night eating out separately as it’s important time for Jaime and I to spend together. Our spending was higher here last year, but we consider that a good thing (to a point) as it’s money invested in our marriage. 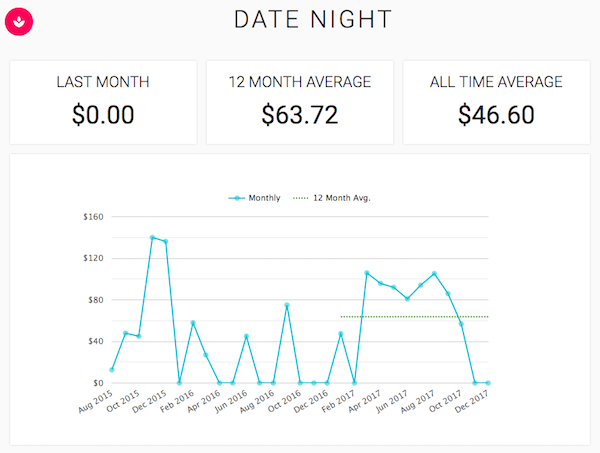 In the last six months, we’ve averaged about $60 a month. So, we went from spending an average of about $1,260 a month before the start of our mini-retirement to spending around $985 after. Looking back at what’s changed, here are four things that we did that helped us change our spending habits and save $3,300 a year. Before the start of our mini-retirement, we only had two categories to track food purchases - groceries and eating out. This was problematic though because it mixed in “good” eating out with “bad” eating out. We didn’t have an easy way to understand how our eating out spending aligned with our values. The point of tracking is to understand and the point of understanding is to improve (Tweet this ) . As we started our mini-retirement, we really wanted to understand this spending better. So, we created two new categories in Thrifty - Pizza & Movie Night and Date Night. By setting things up this way, we would have a more accurate understanding of how much of our eating out was wasteful. To ensure a complete picture, I went back through all of our eating out expenses in Thrifty for the last two and a half years and recategorized based on the new options. While our date night and family movie night spending remained fairly constant, we saw an immediate drop in our eating out starting at the date we added the new categories. Measuring our “bad” eating out separately gave us an incentive to avoid this spending. We knew that any penny spent here was money we could be saving for our goals instead. Measurement alone made an impact, but a couple of other big changes certainly helped as well. It can be a real challenge to find recipes that fit all of these criteria. By trying new recipes over the years and keeping the ones that worked, we’ve finally accumulated enough. These days, we’re able to stick to a meal plan week-to-week while still having a bit of variety. For other options, we’ll have cheese quesadillas, Italian sausage, or a simple lasagna recipe. We know that these recipes will get eaten when we bring them to the table. With practice, we now know how to get the ingredients for them at a reasonable price (even though we typically buy organic and free-range). If you’re looking for other frugal recipes, you might want to check out The Picky Pinchers Cookbook. It’s got a wide variety of cuisine types and everything looks delicious! All of those recipes are great, but if we’re too tired at the end of the day, convenience foods will come calling their siren song. We used to get food out 2-3 times a week - including our Friday night pizza. Since starting the mini-retirement, I’ve had the time and energy to cook 6 evenings a week for most weeks. This has helped us understand that retirement has a compounding effect on your expenses - by having more time, you can spend even less money. When the mini-retirement comes to an end, this will be a riskier area for us. Will my energy levels be lower at the end of the workday, leading us back into convenience dinners? One of my goals at the end of the mini-retirement is to work from home if possible, which should help. In addition, I think batch cooking meals could help as well. This is another one that came from me parting ways with my 9-5 job. If I get hungry during the day, my only food options are from our fridge and our pantry. And the food here is much less expensive than what the cafeteria and vending machines at my old office used to offer. Again, if I can work from home after the mini-retirement, we should be able to maintain our improvement here. Otherwise, I’ll try to be more diligent about bringing snack foods from home. Have you tamed your food finances? improving our tracking (using Thrifty). It took us about two years of serious effort to get here, but our persistence paid off (Tweet this ) ! Is food spending a challenge for you as well? Have you found any favorite recipes or techniques to keep your costs down?